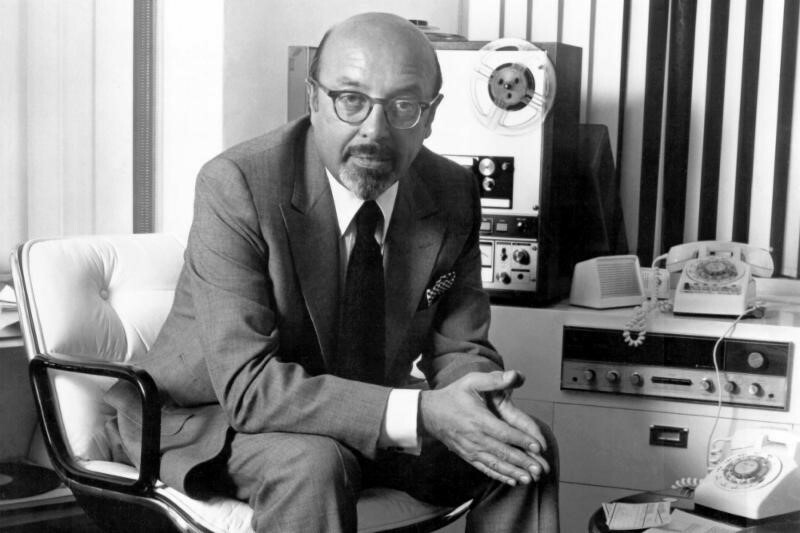 This week marks the eleventh anniversary of the death of Turkish American music pioneer Ahmet Ertegun. TCA commemorates his lasting legacy, which is described by his friend Peter Brown in the below article. Brown, a former member of the Beatles core management, originally published this piece in the Daily Beast on December 12, 2013.This week marks the eleventh anniversary of the death of Turkish American music pioneer Ahmet Ertegun. TCA commemorates his lasting legacy, which is described by his friend Peter Brown in the below article. Brown, a former member of the Beatles core management, originally published this piece in the Daily Beast on December 12, 2013. December 14 marks the seventh anniversary of the death of Ahmet Ertegun, a dear friend who left a remarkable imprint on the world. The whole idea of Ahmet-son of a Turkish diplomat, race relations pioneer, rock-and-roll impresario (he did manage to get Led Zeppelin to reunite in tribute to him, albeit posthumously)-is so unlikely it can be said he could only have happened in America. Ahmet arrived on America’s shores nearly 80 years ago. As a young man growing up in the rarified world of Washington diplomacy, his worldview was shaped not by politics but by the exciting new music humming from the black neighborhoods of his heavily segregated new home city. To African-American musicians of the era-from Duke Ellington to Count Basie-Washington’s Howard Theatre and the rest of “Black Broadway” was ground zero for the emergence of the uniquely American idea of jazz as well as its glorious offspring-rhythm and blues and, later, rock-and-roll. Ahmet soaked up these new sounds with a fervor that set his destiny. He wanted to bring this music to the masses, to celebrate in music the promise of America as a country from which many were one. As a new American devotee, this was a profoundly patriotic impulse. However, Ahmet never forgot his roots. Indeed the diversity of a proudly secular Turkey-which sits astride both Europe and Asia, east and west, history and modernity-greatly influenced his view that diversity strengthens and enriches a nation’s social fabric. Indeed, that Ahmet brought many leading jazz artists out of the shadows to perform at the Turkish Embassy says as much about Turkey as it does a music-mad young man’s restless desire to celebrate the art of men and women he could not even share a meal with in public. This celebration went beyond color lines. In 1942 Ahmet, together with his brother Nesuhi, staged Washington’s first integrated concert at the only venue that would host it: the Jewish Community Center. While many Americans won’t recognize his name, they surely will recognize the many artists Ahmet championed and ushered into the mainstream. That’s because Ahmet was no mere industry “suit,” as nattily dressed as he was. He had the ear, as we say in the industry. He “discovered” Ray Charles and helped shape the careers of the Rolling Stones, John Coltrane and Crosby, Stills, and Nash. He even sang backup on Jerry Lee Lewis’s hit record Shake, Rattle and Roll. Ahmet helped found Atlantic Records and establish it as the preeminent label of its day for “artists.” These artists represented the crossroads of Ahmet’s personal loves and interests: blues and jazz comingled with swing and the sophisticated rhythmic arrangements popularized in New York. His eclectic ear enabled Atlantic to have Aretha Franklin, Otis Redding, and Led Zeppelin on the same bill. I spent a great deal of time with Ahmet and his wife Mica over the years and he never lost that magical look when the subject of music came up, which was often. Ahmet was always a bit cross that Atlantic neglected to sign the Beatles, the band to which I was so closely identified, back in 1962. But it was a rare miss in an otherwise impeccable career of finding and nurturing talent. And besides, Ahmet would say, missing out on the Beatles was all producer Jerry Wexler’s fault. As I think back on his life, Ahmet’s legacy is simply not measurable. There is the wondrous music he heard and loved and shared. There is the unbreakable bridge he built between races and faiths. There is the dynamism of his being a Turkish immigrant who reflected his old country’s democratic ideals as well as an all-American entrepreneur and salesman who cheered and rallied a new art form into existence. Ahmet’s legacy is not a monument. It is a living thing that still strengthens all of us.